Lazy Seamstress: Some thank yous, and a winner. DSC_0009, originally uploaded by indiaeden. Thank you to everyone who has sent us cards and ornaments this year. 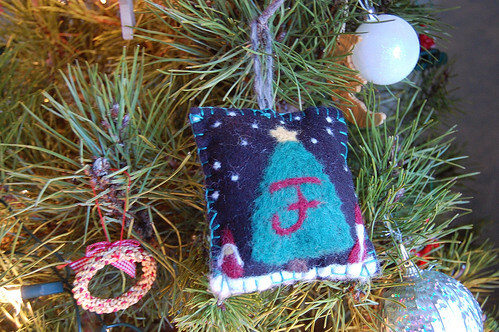 This felted ornament was made by another blogger, Sad Kitty as part of the ornament swap organised by Jenny. I love it. This was such great project to take part in. I enjoyed making the ornament for my swapee, and almost forgot I was going to receive one too. A lovely way to connect with grieving parents around the world, and hopefully pass on a little hope between us all. 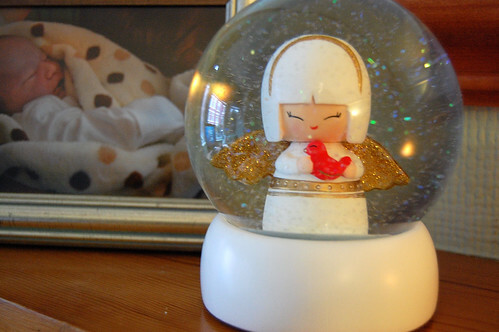 These hang together with the ornament we bought for Florence this year, a porcelain heart from this seller on Etsy. I also couldn't resist a few little pieces from her for the children's stockings too, check her out. And of course the ornaments bought, and made, and gifted to us last year. 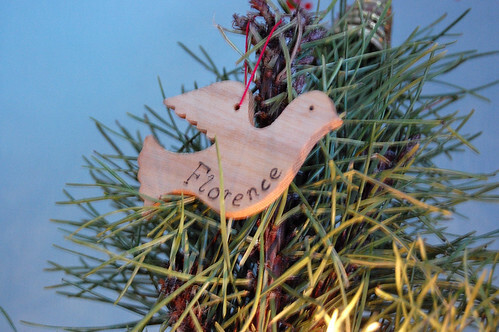 India said soon, we'll have just Florence ornaments for Christmas. It goes without saying, (but I will) that we all wish we had more. 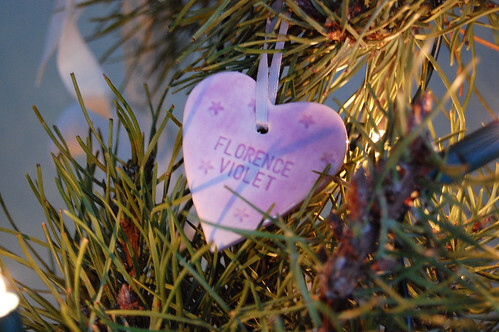 Tomorrow, we will take roses and a Christmas balloon to Florence's grave, and we will carry in our hearts all of the babies and families we know who are missing their precious children this Christmas and always. And now for a winner! Using Random.org the chosen winner of the little pinafore is commenter number 6, Just Me. There are no contact details for you in your profile honey, so I'm really hoping you see this. email me jeanette dot archer at gmail dot com with your contact details and I'll get the dress off in the post after the holidays. Sending you and all the other babylost mamas special christmas wishes. Beautiful ornaments. And congrats to Just me for winning.